Science Speaks: What is magnesium and what function does it perform in the body? In previous blogs we discussed why magnesium is important for vitamin D levels and how co-nutrients work together for optimal health, such as magnesium, calcium, protein, and vitamin D for bone health. 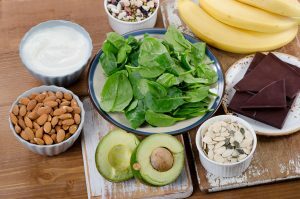 This blog is part one of a three-part series on magnesium, which will explore what magnesium is and how it works in the body (part 1), why it’s important for health (part 2), and how magnesium status is assessed (part 3). Magnesium is a mineral essential for many functions within the body. It is present naturally in many foods and drinks, and is also added to some cereals and other fortified food products. Food sources of magnesium include leafy green vegetables, nuts, whole grains, and milk products. It is also available as a supplement in multiple forms (such as magnesium citrate and magnesium carbonate) and found in some medicines (such as antacids and laxatives). Learn more about why magnesium is important for your health, and how to assess your magnesium status. 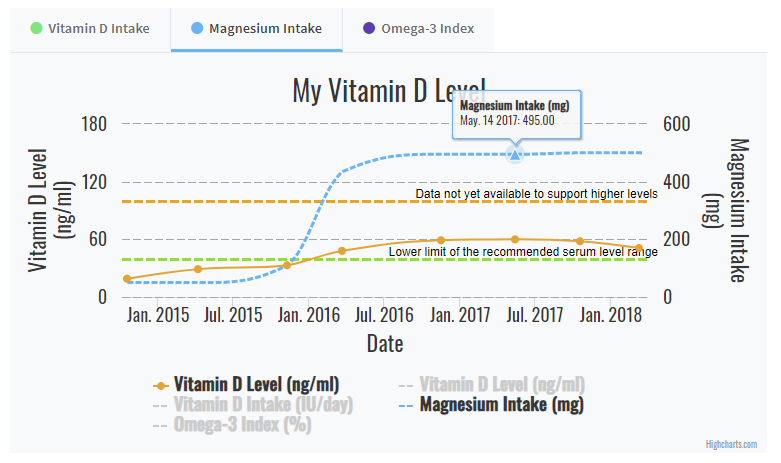 How can I track my magnesium intake? To help you track your supplement use and dietary nutrient intake, GrassrootsHealth has created an online tracking system called myData-myAnswers. For each specific supplement, you can track what days you take it, how much, and many other details. You can also track your magnesium intake from dietary sources. Check it out today!